The first official clip for this summer’s highly anticipated Spider-Man: Homecoming is now online. One of the biggest pieces of Spider-Man and his long history is that he has one of the best kept secret identities out of all comics, not just Marvel, all comics. Very few know exactly who Spider-Man is, and as the first Homecoming clip shows below, we know who the next person is behind Tony Stark. Okay, the following footage isn’t really anything. It makes complete sense for this to be the first official clip and true beginning of the marketing period for the film as the trailers have featured this scene, just in a much shorter length. So to answer your question, no, this clip has nothing to do with spoilers. So watch away! As I’m sure it is for all of you, Homecoming is one of my most anticipated movies of this summer. A Marvel backed Spider-Man? Whoever would’ve thought we’d see the day? Now that we are, it’s full steam ahead! Sure, I could see how some may not be wowed by the trailers thus far, by I for one am and that’s all that matters. Tom Holland couldn’t be a more perfect web-slinger, and then you team that with Robert Downey Jr.’s Tony Stark and against Michael Keaton’s Vulture? Plus the incredible look High School setting, something we’ve wanted from the very beginning. Yes please. And with already seeing the kind of potential he has on the big screen from Captain America: Civil War, there’s nothing that can weigh down my excitement for Spidey’s first big adventure under the MCU umbrella. Check out the first official clip below and after doing so, let me know how much you’re looking forward to Homecoming. Are you as excited as I am? Why or why not? How much of a role do you hope he plays in the MCU down the line? 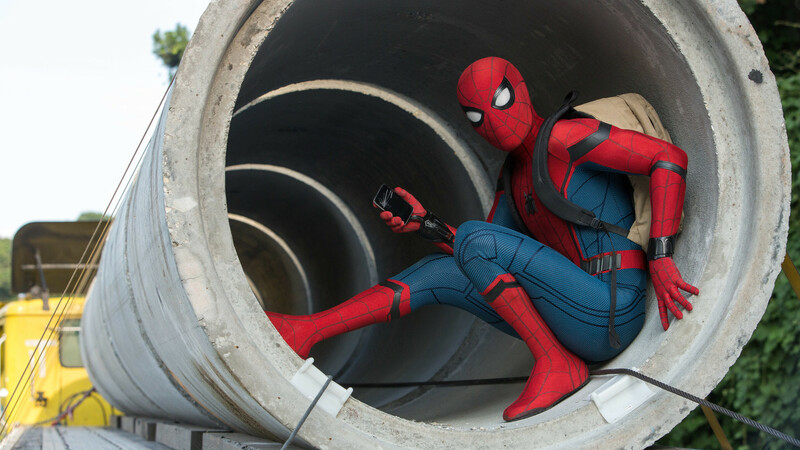 Jon Watts’ Spider-Man: Homecoming swings into theaters on July 7th, 2017.